We know how they did it! 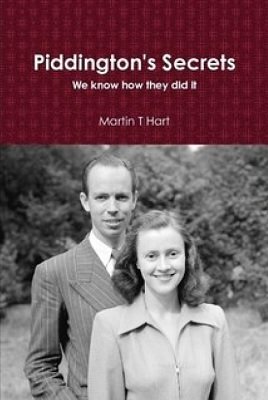 The Piddington's were a 1949 husband and wife telepathy act who seemed able to transmit their thoughts to each other, even across vast distances. They could do this without talking. Finally, the unfathomable mystery behind the world's most baffling telepathy act is revealed after 70 years of silence. Martin T Hart takes us on a fascinating and detailed journey into the lives of 'The Amazing Piddingtons' and deep inside the cunning methods that fooled a global generation. To this day no magician or scientist has ever discovered how Sydney was able to transmit his thoughts to his wife Lesley without talking, while blindfolded and at any distance. Includes over 50 photos, diagrams, witness evidence and testimony from those who worked behind the scenes. This is more than a book. This reveal is an event in the history of world magic!